There’s a new squad of supernatural hunters rolling into theaters next month, as Paul Feig’s Ghostbusters reboot plans to introduce audiences to a fresh take on the beloved brand. Taking the reins from Ray, Egon, Winston and Peter are another lot of ‘busters eager to tackle to New York City’s burgeoning ghost problem. If you’ve yet to spy any of the previous trailers and teasers clueing us into who these characters are, then fear not. As part of yesterday’s Ghostbusters Day, Sony has dropped a quartet of featurettes giving us an in-depth look at the film’s leading ladies. Leading this intrepid gang is scientist Erin Gilbert (Kristen Wiig), a laughing stock who suffered a cruel blow from the science community after publishing a book on the paranormal. She turns to her former pal and colleague Abby Yates (Melissa McCarthy), who co-authored said book, to help combat the escalating ghost situation. Yates and Gilbert enlist Jillian Holtzmann (Kate McKinnon) and Patty Tolan (Leslie Jones) to beef up their numbers, both of whom appear to be adding a jolt of hilarity to the proceedings. You can get farther acquainted with the crew in the video clips to follow. They’re neat tie-ins to the movie’s overall marketing scheme, which isn’t particularly outlandish but gets the job done. 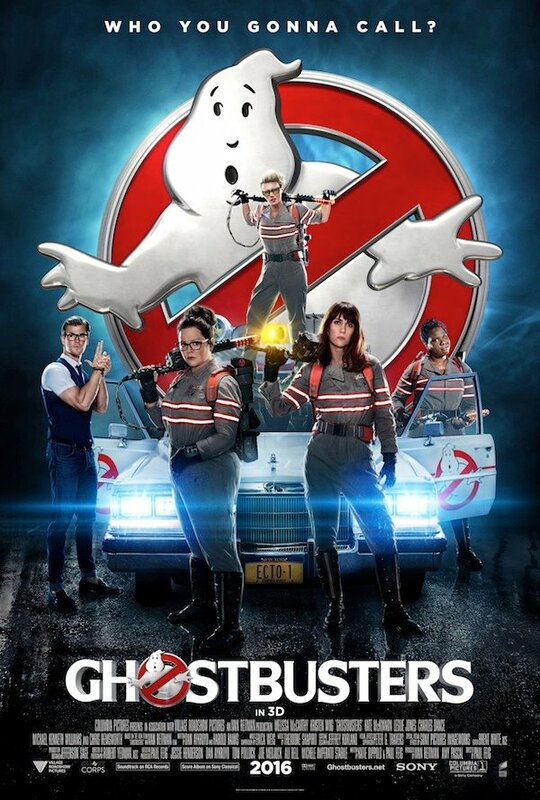 And before you click away, be sure to check out the film’s latest international poster below that Sony unleashed via Twitter this morning ahead of Ghostbusters’ theatrical opening on July 15.